In a perfect world, we would see a Givenchy x Nike collab. Rejoice, for the perfect world has arrived as of 21 March 2014. Many thronged the Nike stores to get their hands on this soon-to-be elusive collaborative design effort between sneaker giant, Nike, and the too-cool-for-school Ricardo Tisci from Givenchy with the Midas touch. Shoes were flying off the shelves, and many who landed the loot proudly showed them off online (check out #nikert on Instagram). Who could blame them? A look at this collection makes one want to get one of everything. The creative canvas for Ricardo, or R.T. – the moniker accorded to him for this collab, came in the form of the iconic sneaker style from Nike, the Air Force 1. They couldn’t have picked a better shoe as the AF1 has such a classic shape, and is so well-loved it probably has its own Facebook fan page. This style is also spot on for the street style meets sportswear trend that is reigning in Spring Summer 2014. 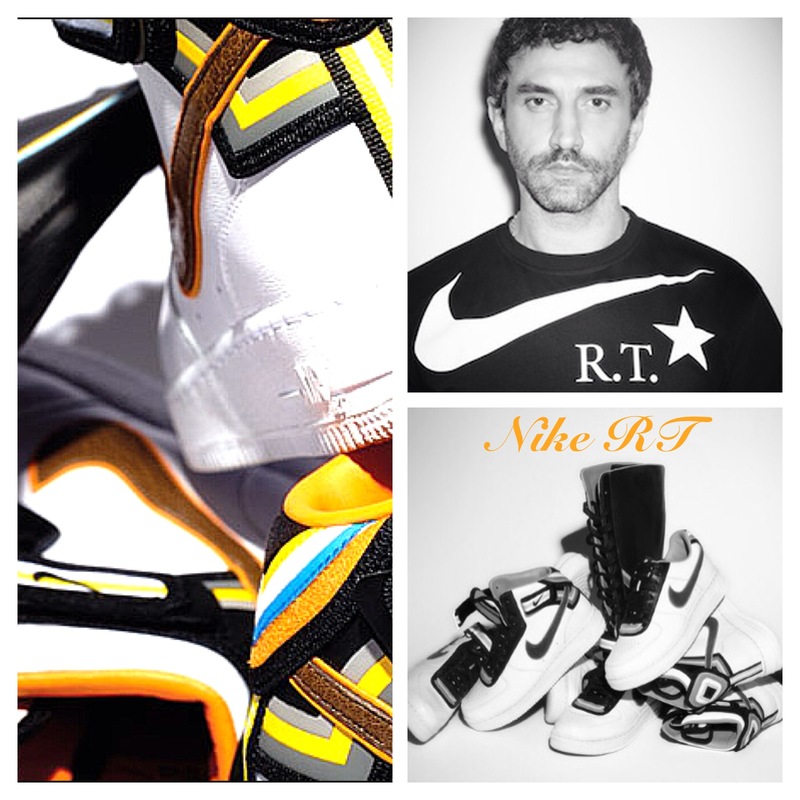 There are four styles designed by R.T., and they come in two colourways. The Nike + R.T. Air Force 1 Collection in white was released on 21 March 2014, and was made available at select Nike concept locations such as 151 Wooster, 21 Mercer, Dover Street Market New York, London, and Tokyo, 1948 Longon, Nike Stadium Milan, X158 Shanghai and with select retail partner locations globally. If you missed out on the initial white collection priced between 230 USD to 340 USD, your other probable avenue of acquiring them is probably on eBay. This is provided you’re willing to shell out way more than what the original buyers paid for them. Sitting in this price range probably suggests these shoes are made for walking, and attending that fancy hip-hop style party this Saturday, and not for the gym. The Nike + R.T. Air Force 1 Collection in black will release globally in May and be prepared for an even bigger surge to buy from the crowds than the initial collection in white. So how to get your hands on the initial collection in white, you ask? Unconfirmed sources stated that it will be available on the Nike online store on 11 April 2014. Fact or fiction? We don’t know but you bet we will be logging in then! For now, check out a short clip on the collection here. Posted on April 7, 2014 April 7, 2014 by hegrooms	This entry was posted in News and tagged AF1, air force 1, cool, givenchy, jay-z, men's fashion, men's sportswear, men's SS14, menswear, nike, outfit of the day, ricardo tisci, rihanna, shoes, sneaker, sportswear, spring 2014, street wear. Bookmark the permalink.